Most intriguing part of the main building for me was wing mechanism. 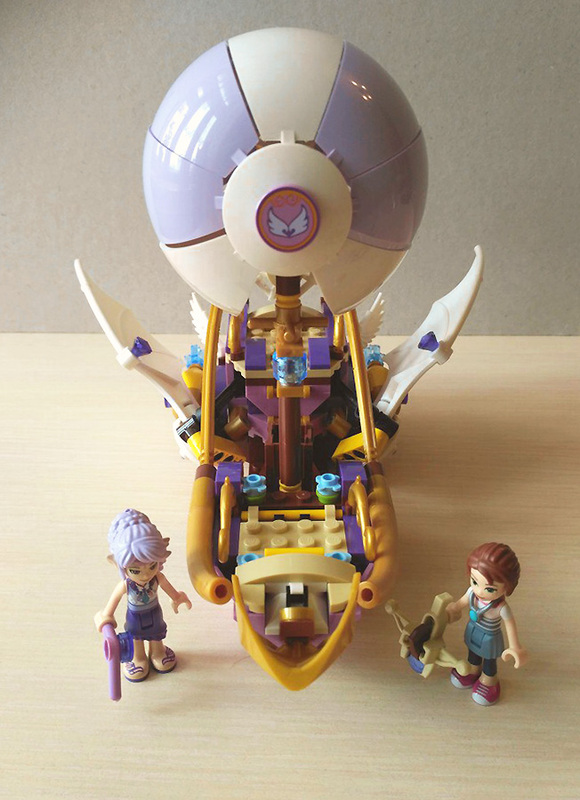 It have a lot intresting joints, even gear mechanism that keeps wings in raised position. Movement is enough tight, it's not very light and smooth, and needs a little effort. 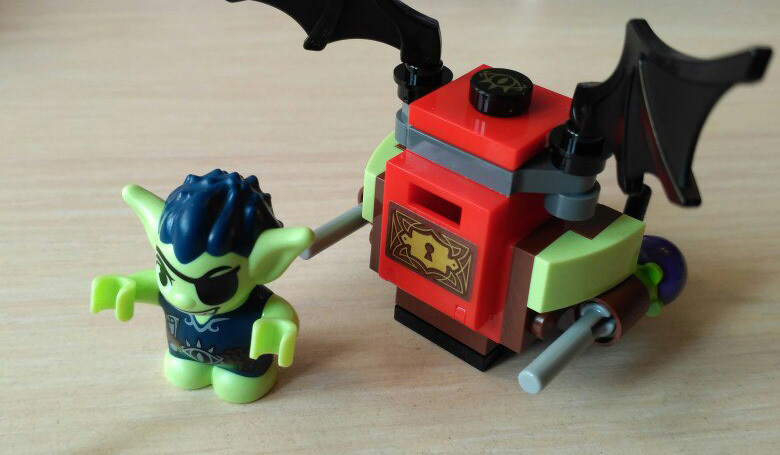 But anyway I really liked that it adds technic building expirience. Book with air symbol is my favorite item here! I like Aira most of all characters, so I glad that here's new stuff with her symbols. Boomerang is also nice weapon for an intelligent character. Map is classical feature of this series. 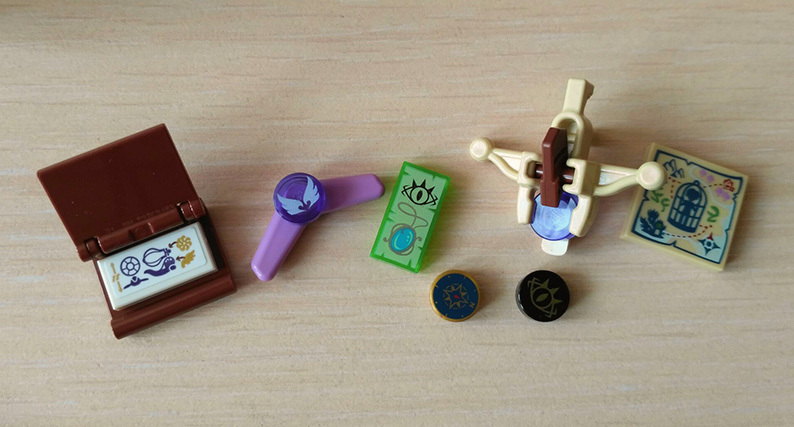 All theese pretty items may be storaged in pantry of the airship! Also there's box with ammo for disc-shooter. 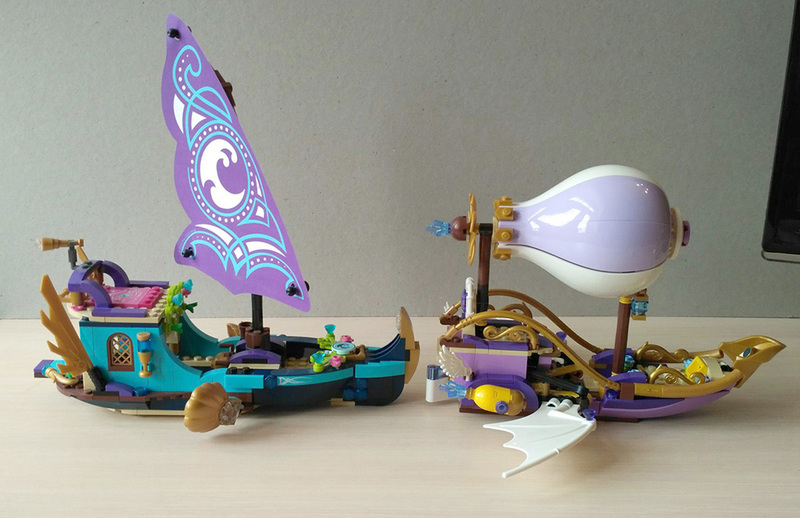 Comparision with Naida's Adventure Ship from 2015. Thanks for watching! I hope this will attract more intrest for this beautilul series! Great review! I had been curious as to how the wing-flapping function was constructed, and your picture answers a lot of my questions. 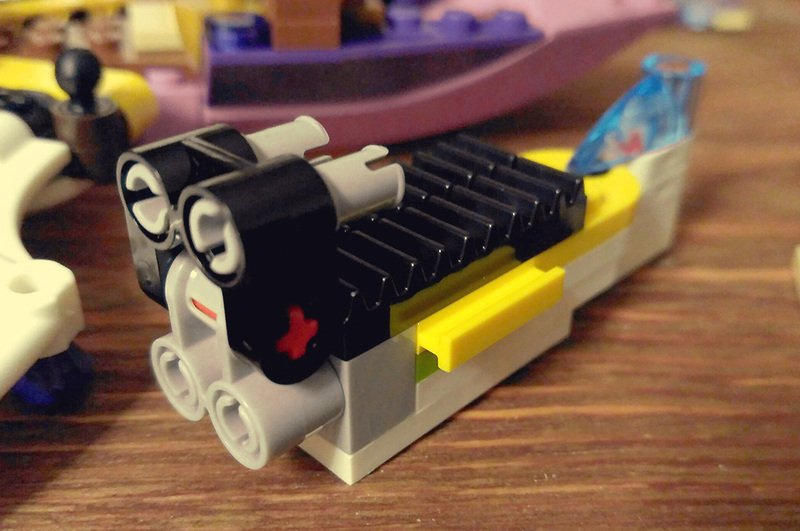 It's even more intricate than I imagined—I never realized it would use gears to "lock" the function block in! 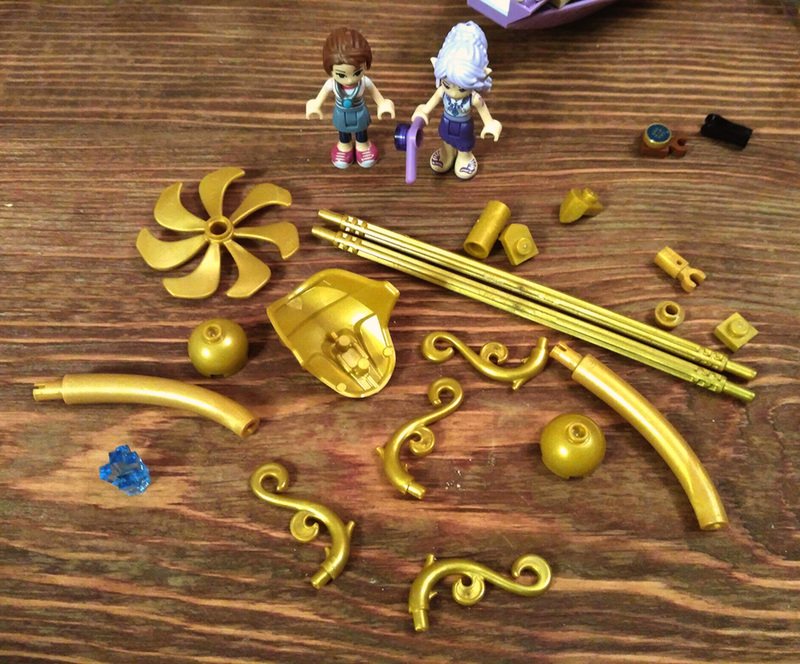 The amulet doesn't seem to fit minifigures quite as well as, say, the gold medal piece from the CMFs, since it doesn't wrap around the minifigure's "neck" (the lower part of their head) and as such leaves an unseemly gap. 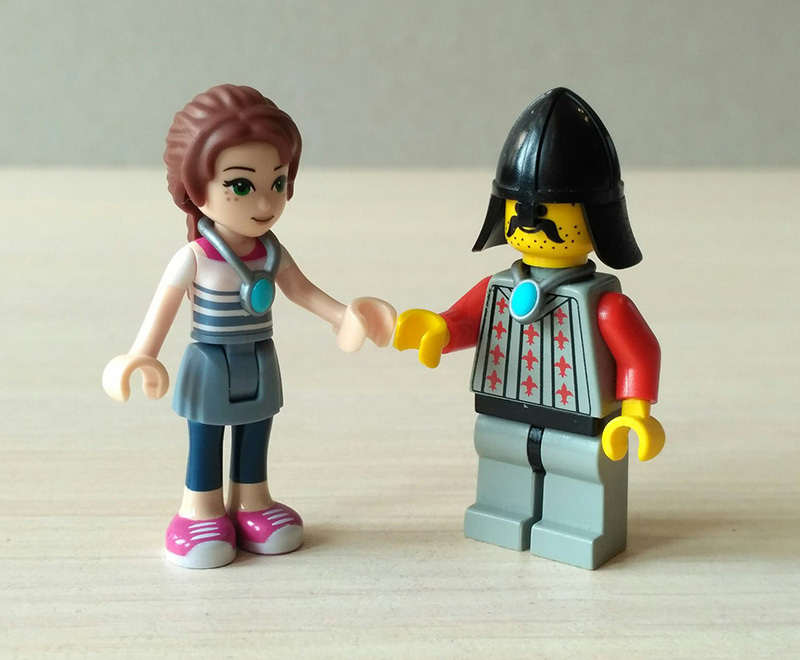 I sort of get the impression that it's designed more so that a mini-doll can "hold" it (around the stud on the top of their hand) than for true minifig compatibility. 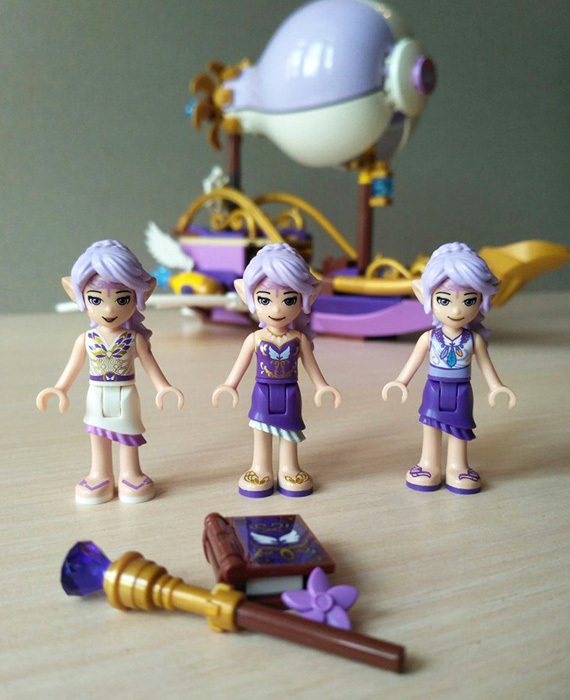 Still, it's a great-looking piece on mini-dolls and will be much better for role-play than the previous printed amulet. 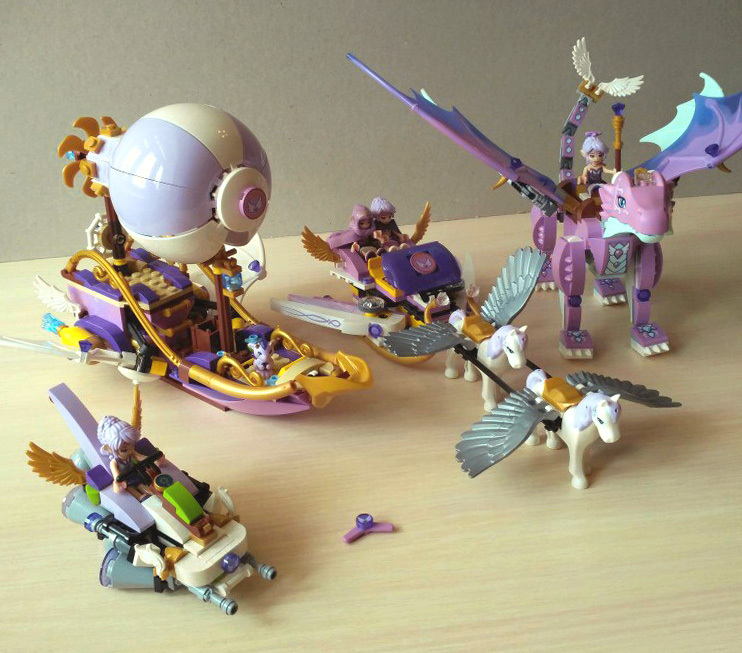 All in all this looks like an excellent set and I can't wait to get it! 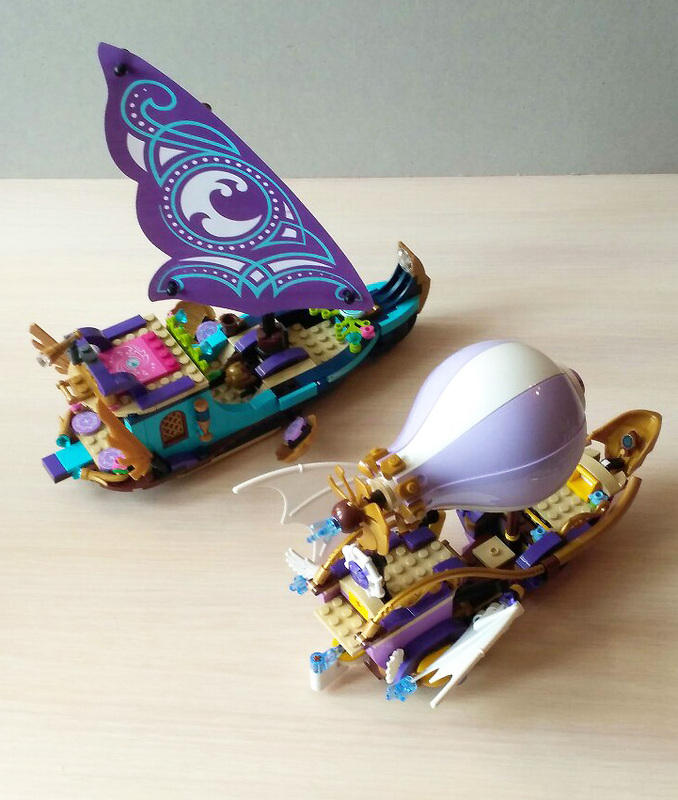 A fun and well-done review! Your captions really made me smile I like the style of the airship. 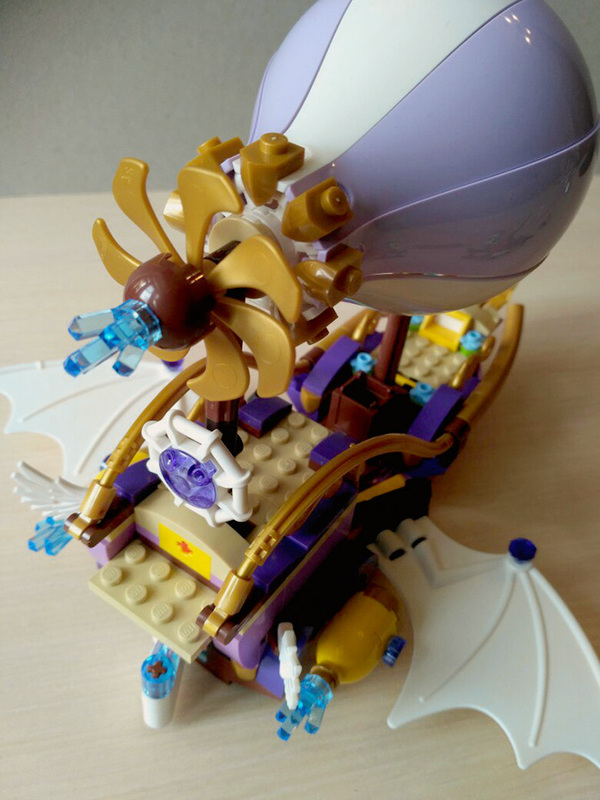 It like a super-cute version of the Ninjago Raid Zeppelin - and has so many interesting pieces! 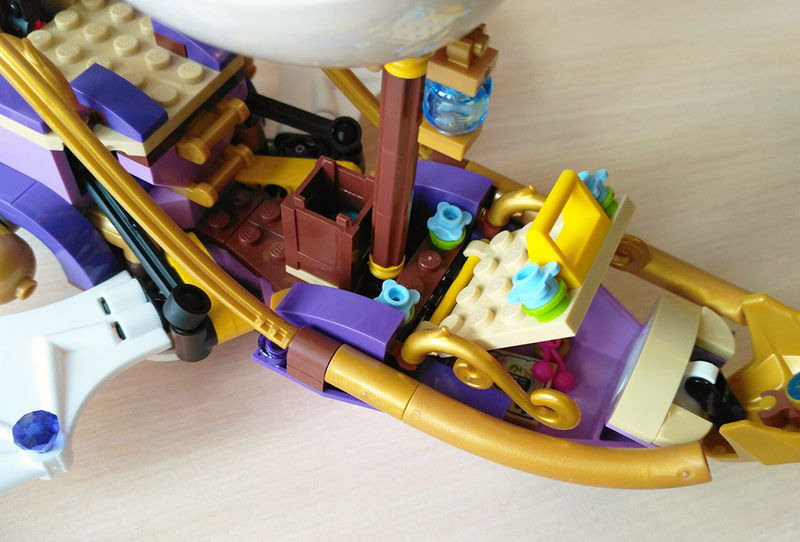 Great photos, especially the inside view of the wing mechanism. I had tried to discover its workings from other pictures but it is much different than I thought. I think you've just finally convinced me that I can't let this one slip by. 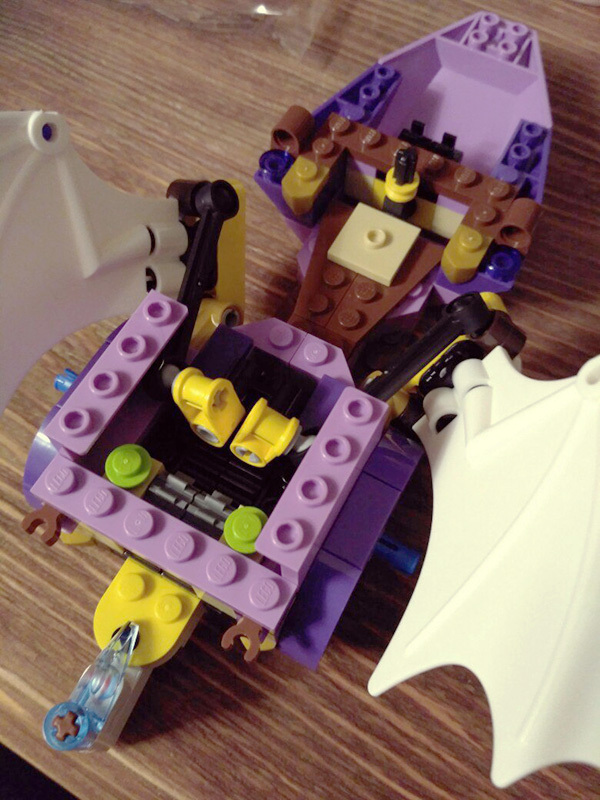 I am still put off by having skipped so many of last year's sets and not being able to find them anymore. Is the cover on the book printed? No, it's sticker, and inlay too.